To showcase Esri's newest hillshade layer, I created a Story Map based off of Rajinder Nagi's blog.The Story Map, titled Introducing Esri's Next Generation Hillshade, provides captivating examples in both 2D and 3D of how you can use the hillshade layer to add greater detail to your maps. Using hillshade to visualize landcover in the Alps. Mount Rainier and its glacial remains in Washington. Mount Rainier in 3D with imagery draped over the hillshade layer. Lisa Berry, Jim Herries, and I created a predominance tool that allows you to determine the predominant variable within a group of variables. For example, you might want to visualize the various counts of different ethnicities by county in the U.S. With the predominance tool, you can now map the dominating ethnic group by county (see image below). This tool is now ready to download in GitHub- simple instructions included! Who are the people served by your city's transit system? And who isn't, but should be? How does transit change throughout the day? And what is the best way to analyze service areas? These questions and more are answered in this compelling Map Journal of new ways to view public transportation. You'll learn helpful best practices through examples of public library access in Chicago, Illinois and transit availability in Ann Arbor, Michigan. I created this Map Journal for Melinda Morang to present at the GIS in Transit conference this past month in D.C. and it was a hit! This Map Journal is also featured as an Esri blog. 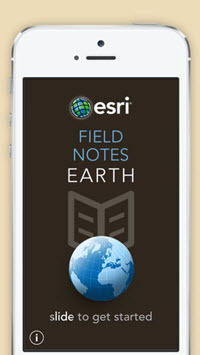 Working with Brooke Reams, Charlie Frye, Sean Breyer, and others, we were able to release the Field Notes - Earth mobile app in only 6 weeks! 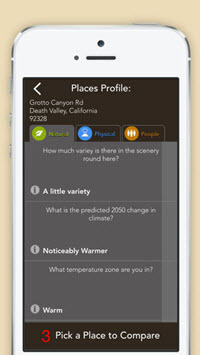 Featured in Time Magazine and Yahoo News, this app transforms you to any location in the world and describes numerous, fascinating facts about that place. It shares the power of geographic information through a common language to describe the landscape of the Earth. 1. 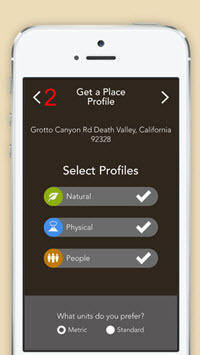 Choose a place, such as your hometown, to learn interesting facts about population, nature, and physical landscapes. 2. 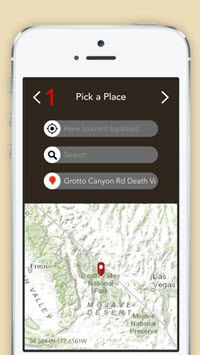 Choose a second location to compare and contrast the differences. These types of comparisons help us to better understand the differences in our landscapes and allow meaningful conversations on how to manage and protect our resources. Download the app for iOS or download the app for Android!